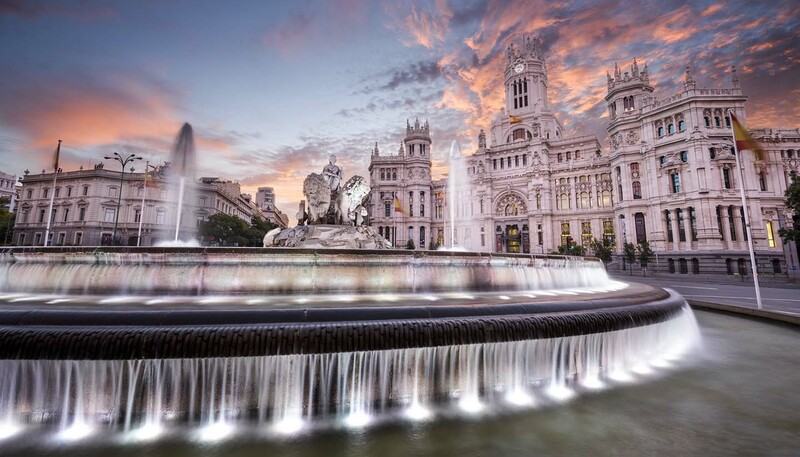 Energetic, cosmopolitan and creative, Madrid has all the features of a modern European capital. At the same time, the legacy of its rich and complex history (once the centre of the Spanish Empire and dominated by the Catholic monarchs) is visible everywhere. There’s the enormous cathedral, the Royal Palace, and countless historic buildings full of pomp and circumstance. Apart from being Spain’s financial and political hub, Madrid is an art haven, especially within the city’s Golden Triangle of Art. The Prado features Spanish greats; modern art can be found in Reina Sofía; and the Thyssen-Bornemisza hosts world-class exhibitions. There are also plenty of contrasts, from the labyrinthine streets of the medieval quarter to the wide boulevards of the 18th and 19th centuries. Meanwhile, downtown barrios have transformed in recent years, with boutiques, bars and galleries popping up. Take a drink here on one of the outdoor terraces and watch the world go by. Tourists tend to stick to the central area between the Palacio Real and the Puerta del Sol, but each of Madrid’s neighbourhoods is distinctive – Lavapiés, Malasaña and Chueca being the most hip. 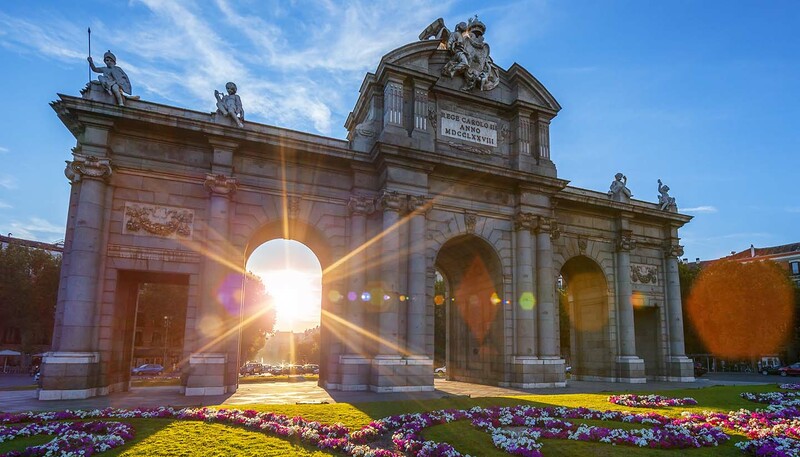 At the northern end of Paseo de la Castellana are the ‘leaning towers’ of the Puerta de Europa, while down from the Plaza Mayor is the district of La Latina, where hip new cafés sit alongside traditional bars. When it comes to nightlife, the city boasts the largest number of bars per capita in Europe, with Madrileños known to party ’til dawn. Apart from the superb tapas joints and clubs, there are thrilling flamenco shows to be found in the centre. When you want to escape the urban bustle, the expansive El Retiro park offers a peaceful retreat with shaded woods and a glassy lake. Otherwise, head to Madrid Río, a 10km-long (6 miles) spread of pedestrian and biking paths complete with an orchard, historical monuments and even its own beach. The project has rejuvenated the riverfront and shown what can be done in spite of Spain’s economic difficulties. 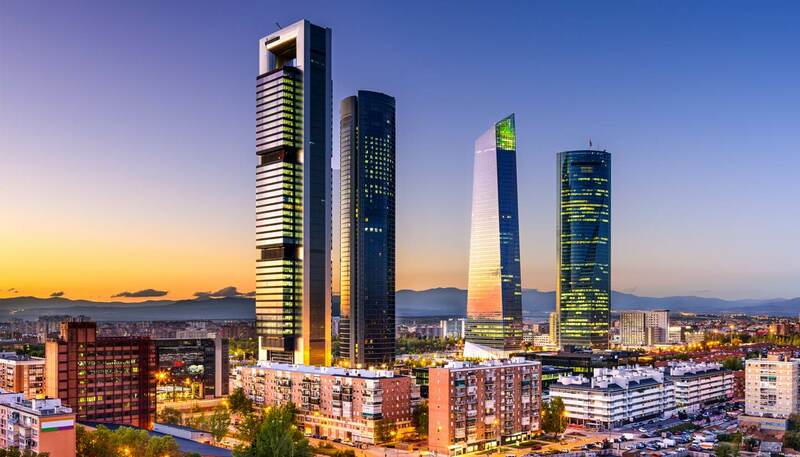 Madrid is a city looking forwards, with new ideas and renewed spirit.